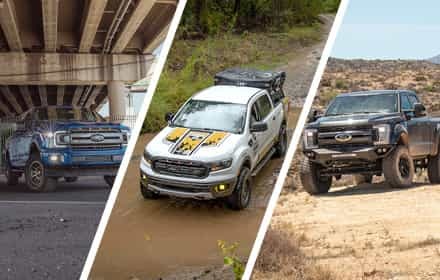 Fitting some aftermarket off-road lights to your SVT Raptor used to mean a ton of drilling for bulky light bars and gaudy lighting systems that stuck out every which way and only really served to ruin your tough 2010 to 2014 SVT Raptor's good looks. 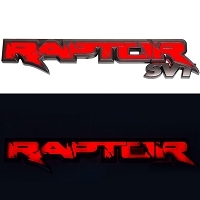 That's all changed thanks to Rigid Industries and this awesome SVT Raptor Off-Road LED "Fog Light" package. 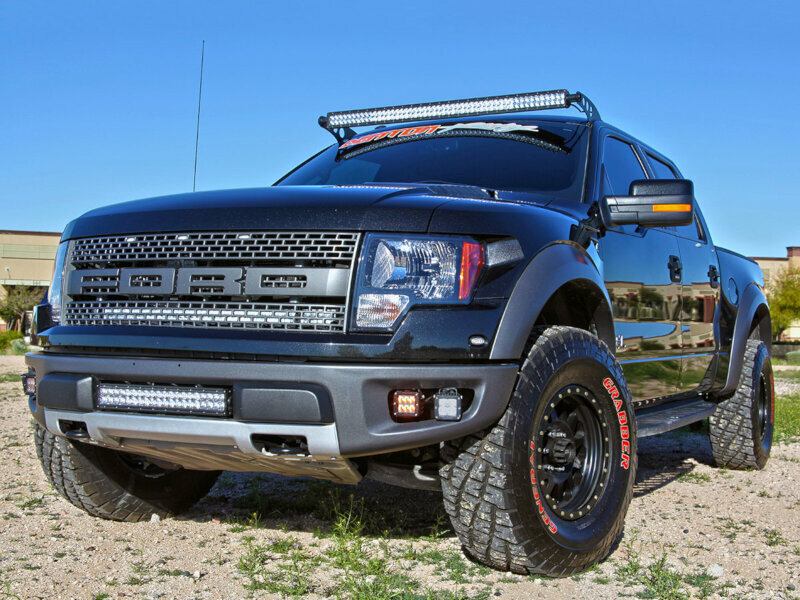 This kit includes a pair of mounts and your choice of four D-Series off-road LED lights that provide a fog light-style look for your truck that is 100% clean and mean while getting you the immense light output you need for your all of your Raptor's off-road adventures. 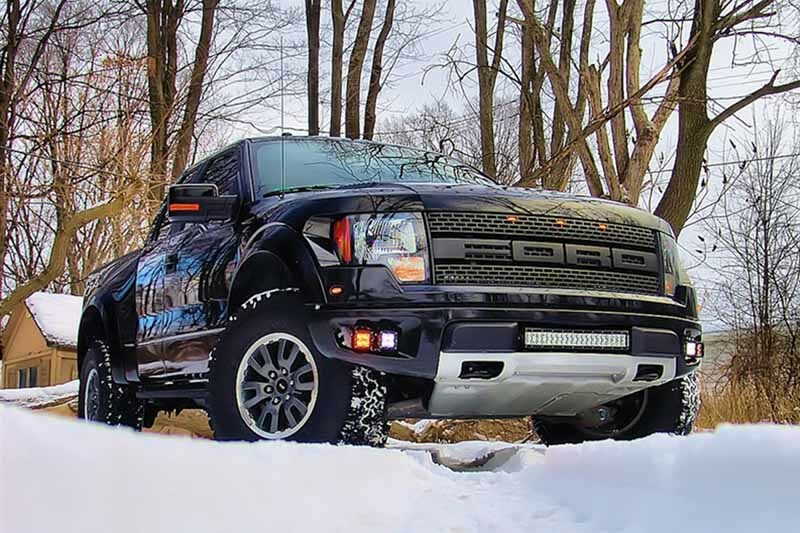 The mounts install right inside the outer pockets of your Raptor's bumper and can hold your choice of two pairs of Rigid's D-Series Dually LED lights or D-Series D2 LED lights so that you can customize your Raptor's light output to meet your specific needs and application. 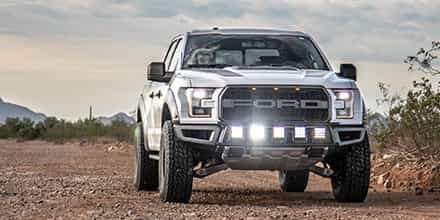 This package's D-Series LED off-road lights produce a huge amount of light in a small, compact package that perfectly fit into the lower bumper pockets of your SVT Raptor. 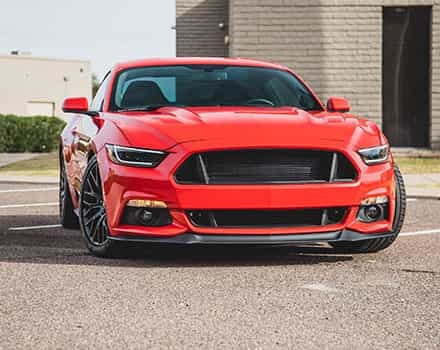 The D-Series light are available in pairs with options for both Dually D-Series Lights and D2 D-Series lights in a variety of different beam patterns and in either white or amber colors. 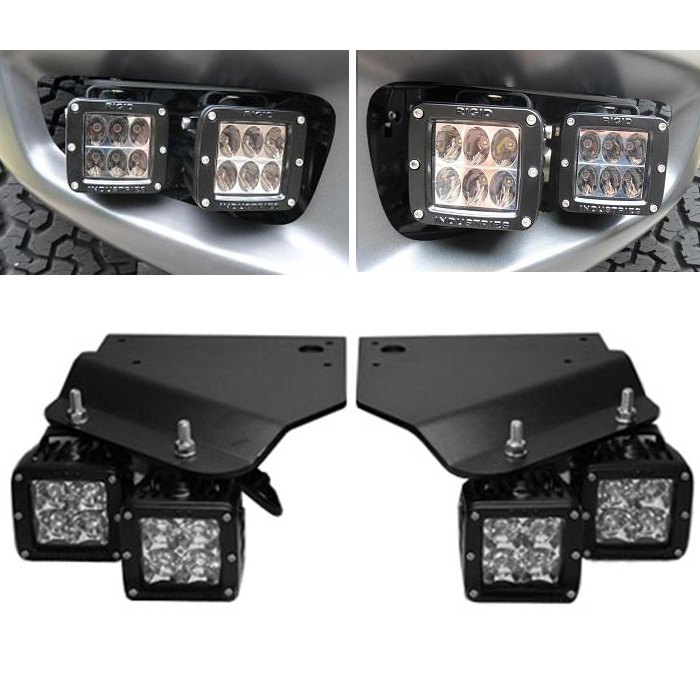 Regardless of your final beam or color combinations, this set of four lights will output a tremendous amount of light that can get projected out over a huge range and width so that you can see trouble out on the trail or the wilderness before it absolutely ruins your Raptor's day. 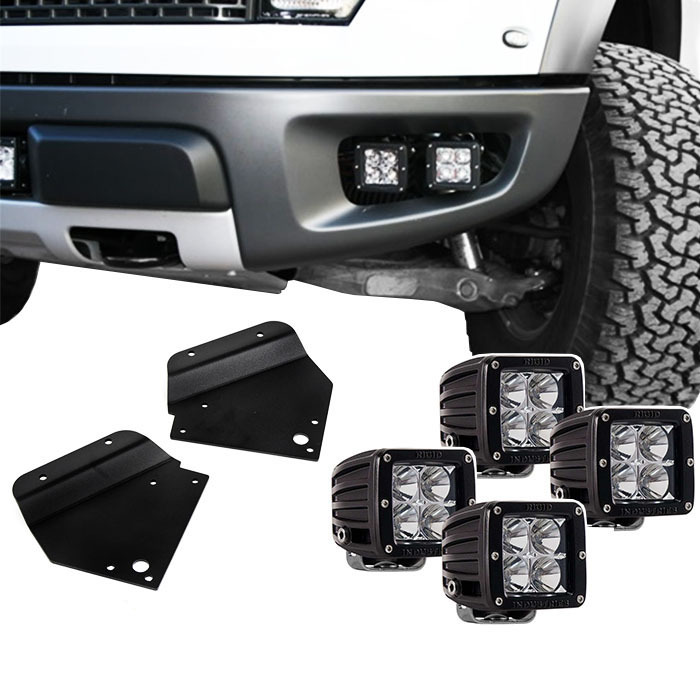 The standard Dually lights have four LEDs and are available with both long-range spot beam patterns and wide flood beam patterns. 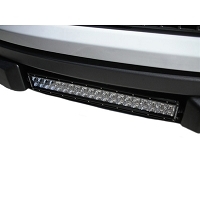 The D2 lights feature six LEDs and come in either more multi-purpose Driving beams or Wide beams. Please select your choice of inner and outer pair of lights from our drop-down menu above. 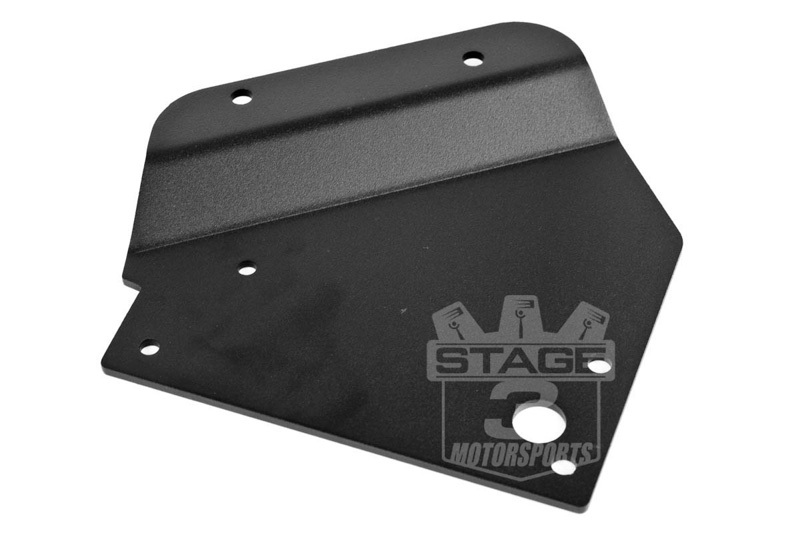 Rigid's specially-designed mounting brackets fit right into the standard fog light openings of your Raptor's lower valance. 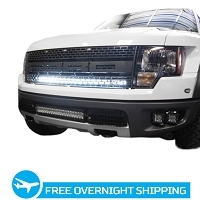 The bracket has an extremely clean look that makes it almost impossible to see after you've installed your Rigid Dually lights and makes it appear that your LEDs simply came with your truck. 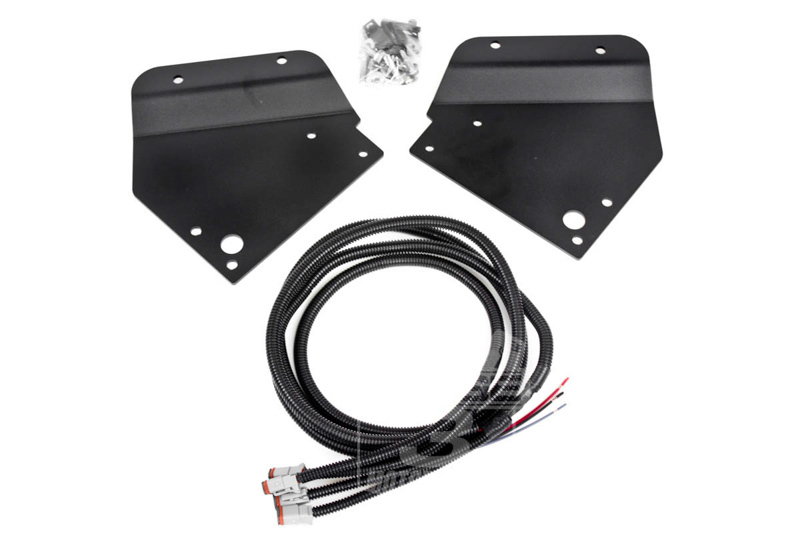 Each of these brackets have a heavy-duty construction and come with all their necessary hardware, including wiring, toggle switches, connectors and instructions. Although these are worth the time and trouble of installing. They are difficult to install , put them together and see how they fit before you drill anything. Once they are in there is very little adjusting that you can do. I purchased the D series SAE compliant driving lights and the D2 Amber lights. I did not get a chance to use the amber lights yet but the SAE compliant driving lights are very bright at night and function really well. 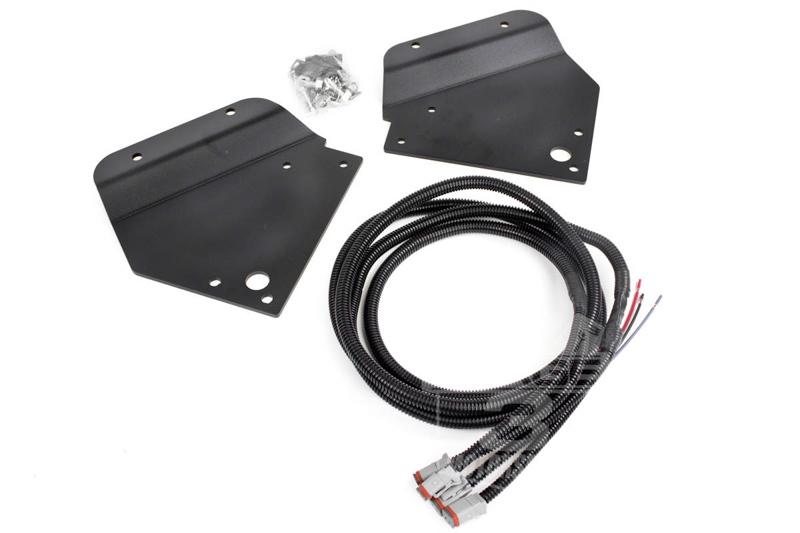 The Ford dealer said the mounting plate holes were not lined up correctly and the install took substantially longer than the 2 hour estimate. I experience wind noise from the new lights at highway speeds 80-85mph. 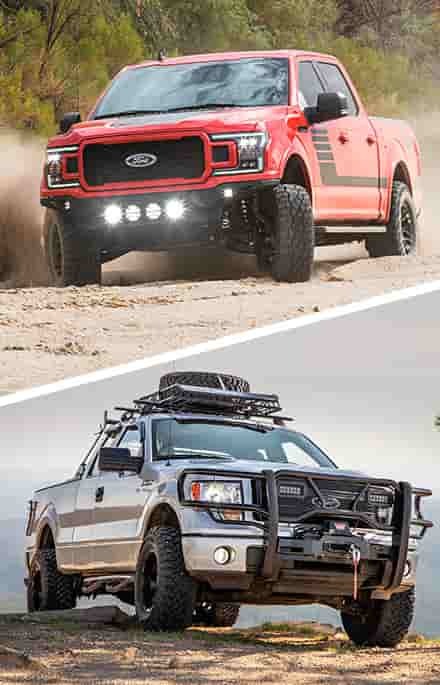 All-in-all a great upgrade and Rigid is a quality manufacturer. Solid product, well made and super easy install. Came with everything needed, definitely worth the money. 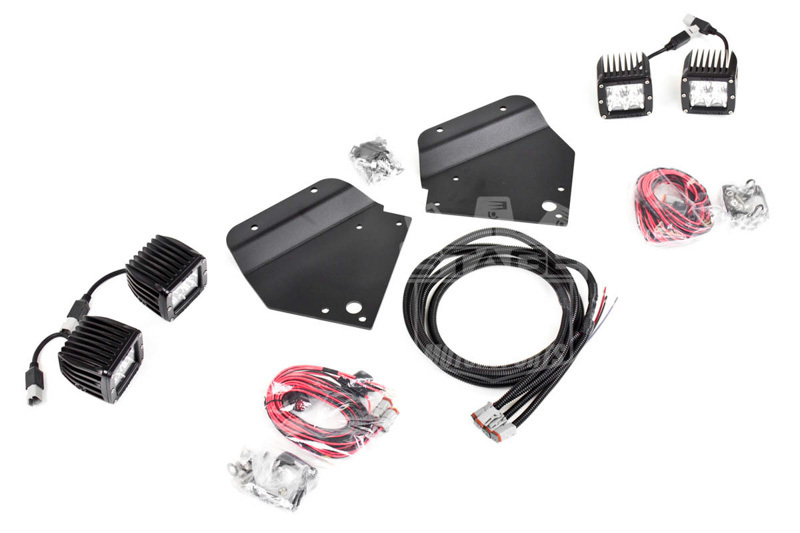 They included everything you need for wiring into your truck's stock upfitter auxiliary switches in your glove box and wiring the lights into your truck's fuses. 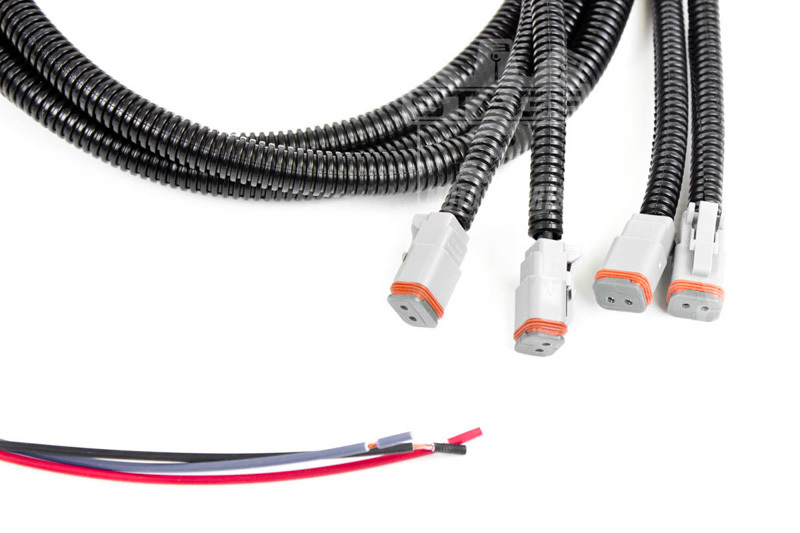 Rigid's Instructions are included and give you several different wiring options. Whats the difference between Dually Flood, and Dually spot?? AND, D2 Driving and D2 wide.. thanks!! 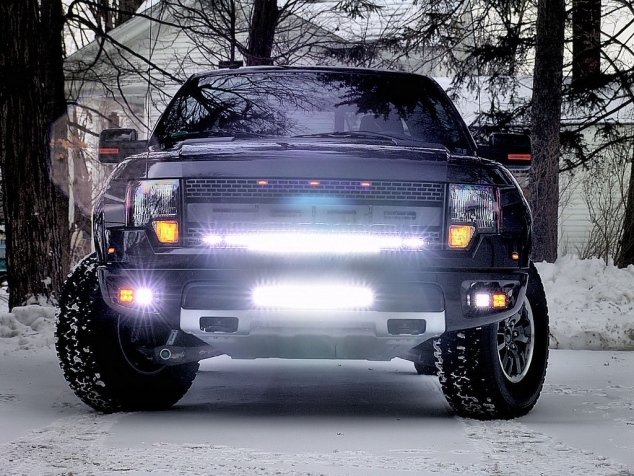 The Dually Series has four LEDs. The "Flood" style lights produce a wide, fairly standard flood beam pattern. The "Spot" style lights have a very narrow spot beam. 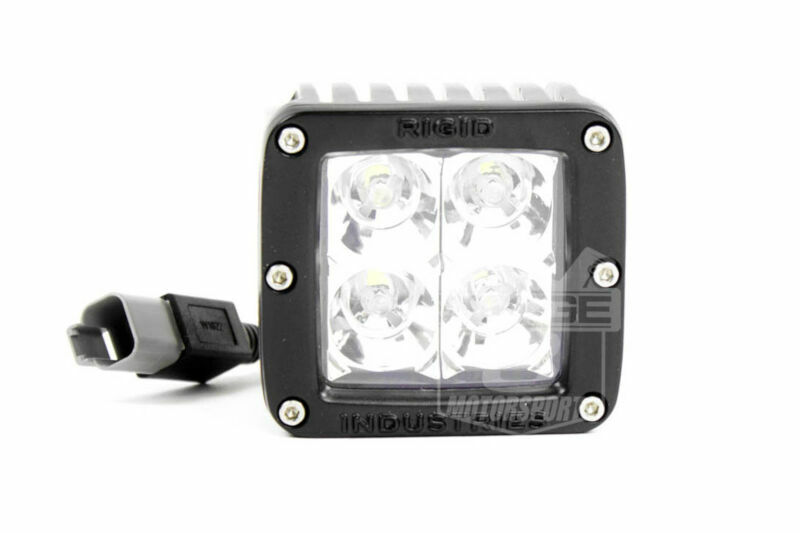 The D2 Series has six LEDs. 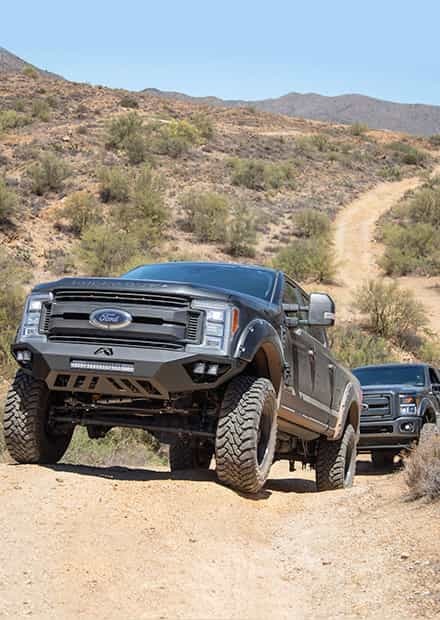 The "Driving" style lights have a long range beam that's fairly narrow, but still has more width than the Dually Spots. 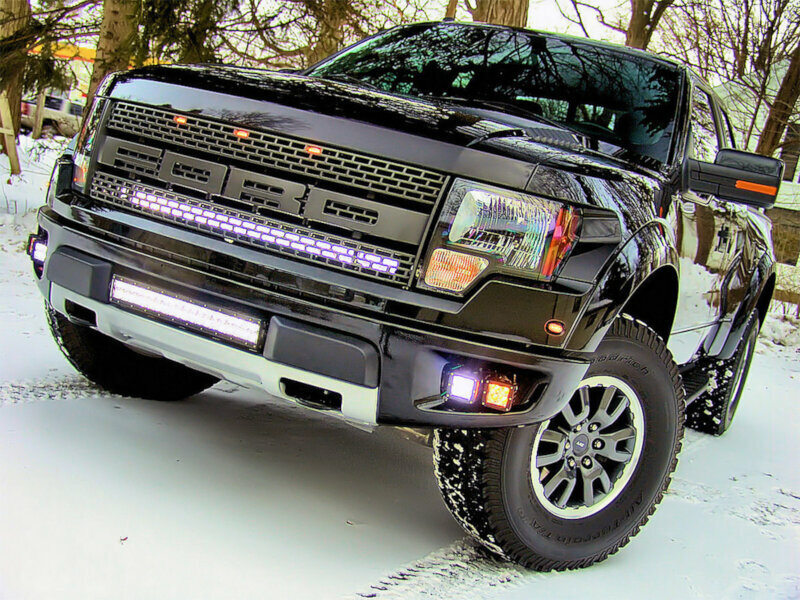 The "Wide" style lights have a wider beam with less range than the Driving lights, but more overall range than the Dually's Flood pattern. You can check out examples of the beam patterns in the individual light listings. 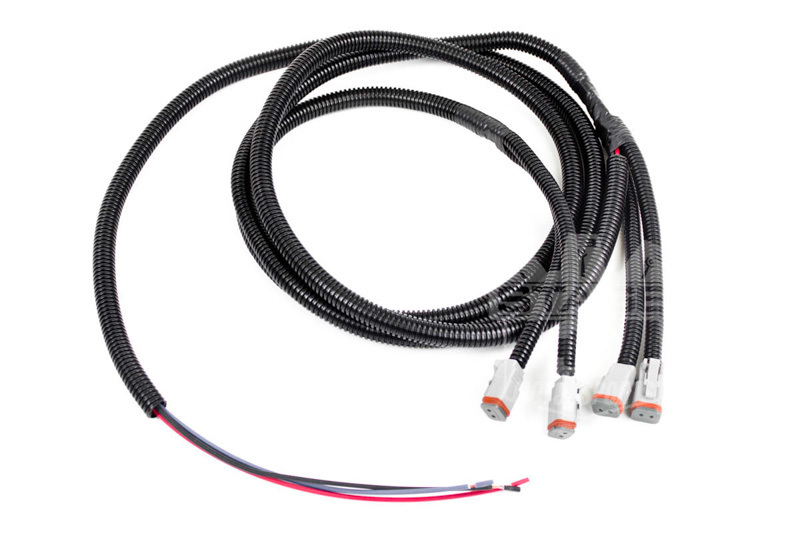 How important is it to switch the 15-amp fuses in the upfitter switches down to 5-amp fuses like rigid industries recommends? Very. 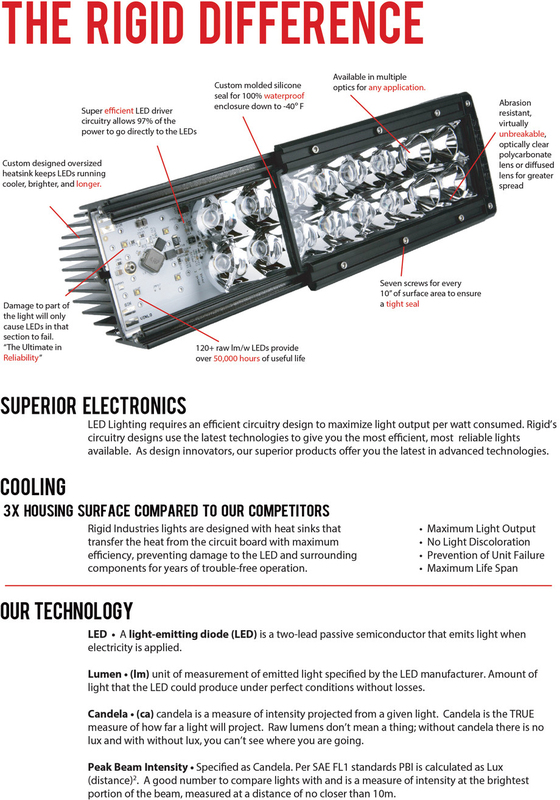 While Rigid's LED boards can handle shock and abrasion, too much power can seriously damage them. 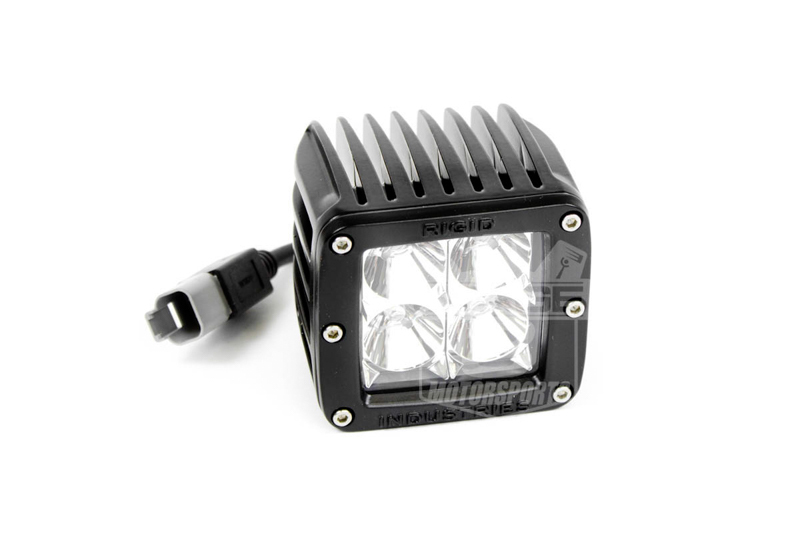 (Fog lights) Can I get an amber flood light on the outside and a white flood light for the inside? Yes, we can do that. Please call in and talk to the sales guys to place this order. 623-434-5277. Do you offer this kit with the D2 lights? 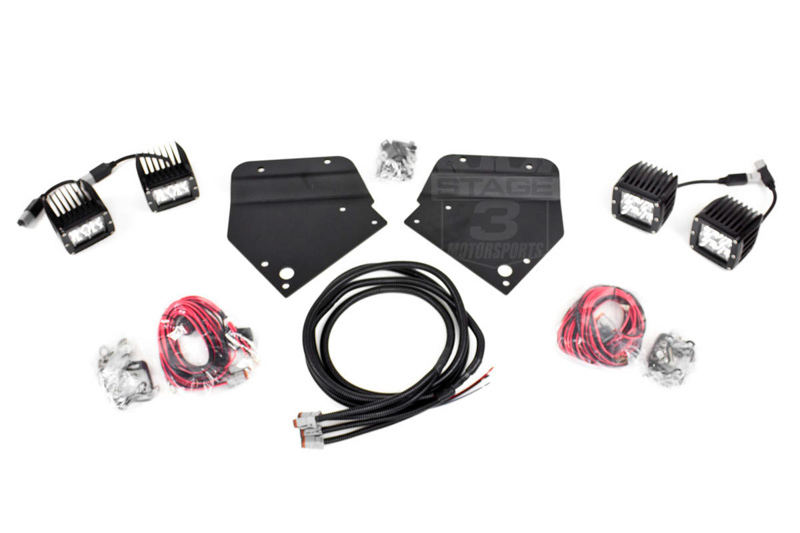 yes, give us a call at 623-434-5277 and the sales guys can get you this package with the D2 rigid lights. Does this item only contain one pair of lights? 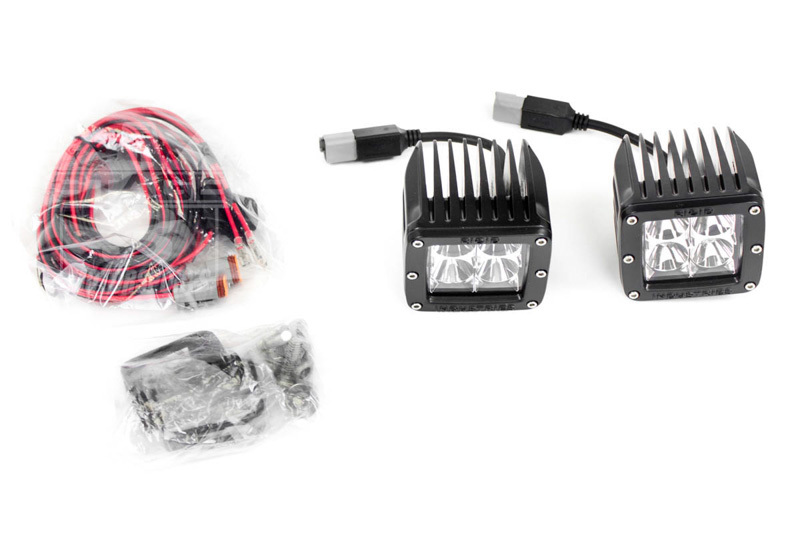 Your choice of two pairs of lights are included in this kit. You get an inboard and outboard pair of lights. 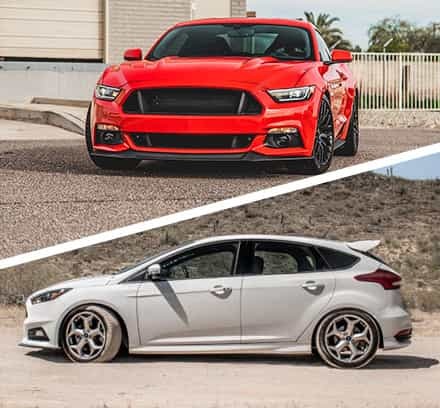 where are these rigid led fog lights made? you chep to Saudi Arabia ? and how much ? We just upgraded our site to now offer international shipping at checkout. If you go place the order for the part and use any CC or Debit card to place the order it will forward off your info to our international department and they will hold the order and not run the CC till they get back to you first hand with your shipping quote. If you have any other questions you can also look at our shipping info tab on the site for more details. Can you do this kit with one pair 50481 and one pair of 20211 ? We absolutely can. You'll just need to call us directly at 1-877-578-2433 so we can put in a custom order.